New York: Technology enthusiasts in India will have to wait longer to get their hands on the Apple Watch as the country does not feature in the nine countries chosen by the iconic brand to unveil its much-awaited smartwatch. However, the US-based firm will make the Apple Watch available from April 10 for preview in its home ground as well as China, Japan, Hong Kong, Australia, Canada, France, Germany and the UK. The smartwatch will be up for purchase from April 24. The Cupertino-headquartered firm took the covers off its Apple Watch at an event in San Francisco yesterday, along with two other key announcements – a revamped MacBook range and a health-centred initiative ‘ResearchKit’. 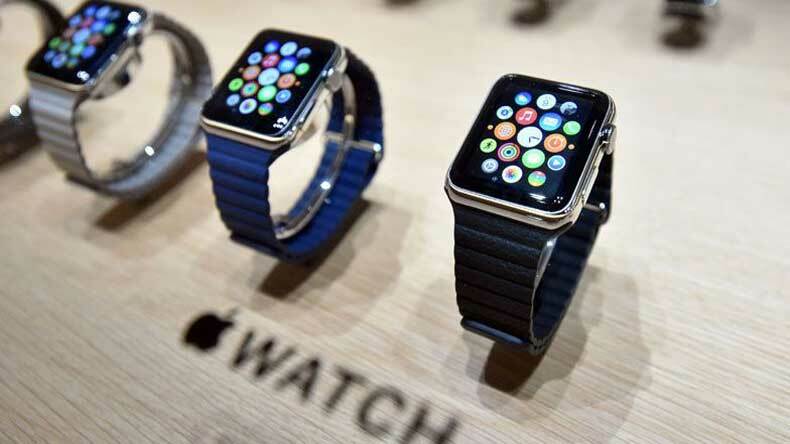 According to analysts, the Apple Watch may cost well over Rs 30,000 for the base model. They are of the view that the watch is expected to hit market in July this year. However, a section of the market feels that considering the growing importance of India, the watch could see its India debut even in June. Launched in three variants (Apple Watch Sport, Apple Watch and Apple Watch Edition) and two sizes (38 mm and 42 mm), the Apple Watch will be priced between $349 (over Rs 21,800) to a whopping $17,000 (Rs 10.66 lakh) for the gold model. “Apple Watch begins a new chapter in the way we relate to technology and we think our customers are going to love it,” Apple CEO Tim Cook said. “We can’t wait for people to start wearing Apple Watch to easily access information that matters, to interact with the world, and to live a better day by being more aware of their daily activity than ever before,” he added. The smartwatch would require iPhone 5, iPhone 5c, iPhone 5s, iPhone 6 or iPhone 6 Plus running iOS 8.2. or higher versions. Apple Watch Edition features cases specially crafted from custom rose or yellow 18-carat gold alloys, a Retina display protected by polished sapphire crystal and uniquely designed straps and bands with 18-carat gold clasps, buckles or pins. Apple Watch is the first new product category to be launched under Cook, who took over the reins of the company after Steve Jobs stepped down. This is also the first new device category since 2010, when Apple entered the tablet market with its iPad. Apple Watch delivers up to 18-hour battery life and has digital face that can look like a traditional time piece. According to the company, users will be able to make and receive calls, read e-mails, control music, manage Instagram photos and keep track of fitness using the smartwatch. Apple has also revamped its MacBook range with a thinner and more efficient 12-inch MacBook notebook and a new MacBook Pro range with Retina display.